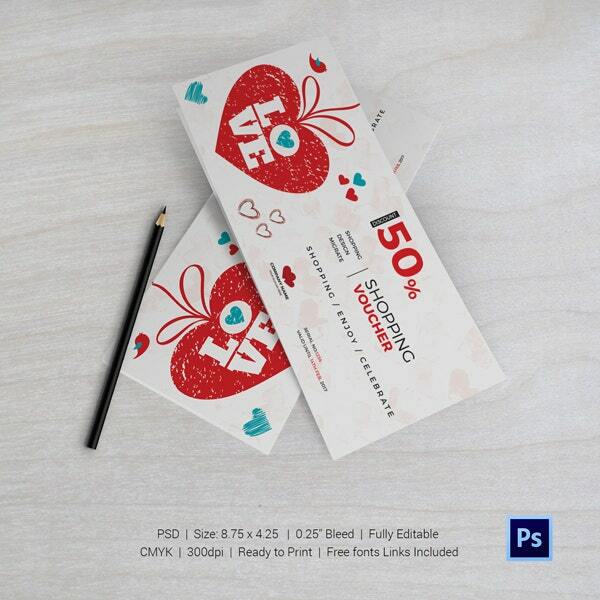 Valentine’s day is around the corner and we have some interesting templates created by our professional designers. 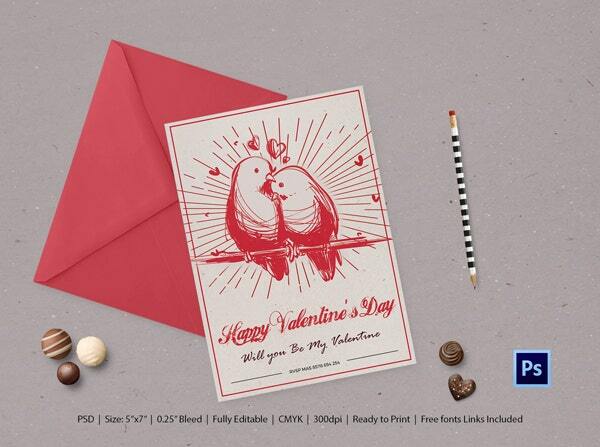 These templates will cater to all your design needs for Valentine’s Day whether it is greeting cards, poster or flyers. You don’t have to design these things from the beginning and also you no more have to hire a professional designer and shed extra bucks on him/her. Just purchase the templates and edit them as per your requirement. Check out the list of premium templates given below. 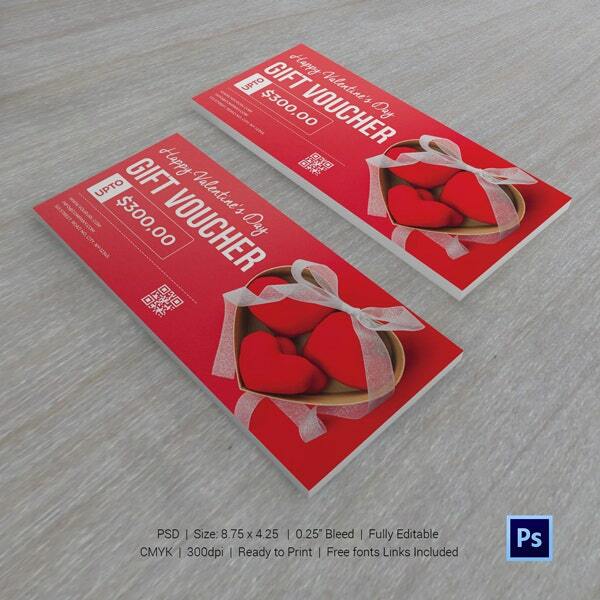 These Valentine’s coupons templates are perfect to make your customers happy this Valentine’s. This is a season of discounts and offers and people love it if there is a valentine theme also attached. The coupons templates have been designed keeping this in mind. 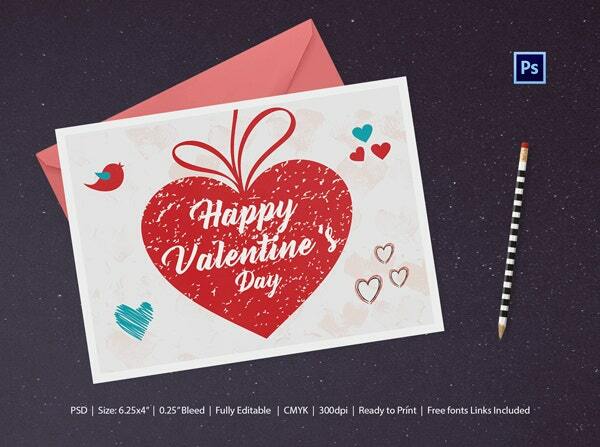 Click on the link to make the purchase and once you have made the purchase you can quickly edit these templates to create Valentine’s coupons for yourself. With facebook covers, you can express your personal feelings and also promote your business. 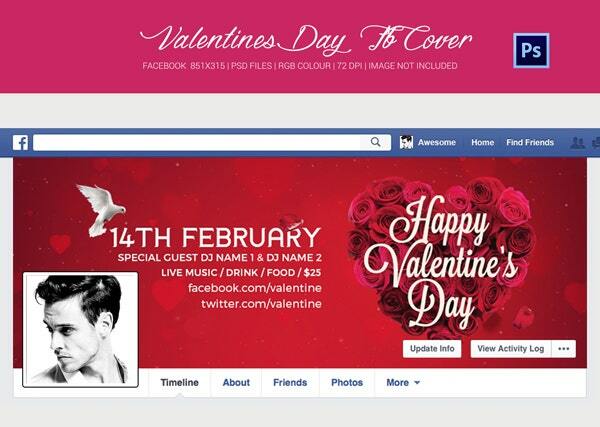 So even for Valentine’s day, you can express your excitement for the occasion or you can promote your Valentine’s party or event via the Facebook cover page. 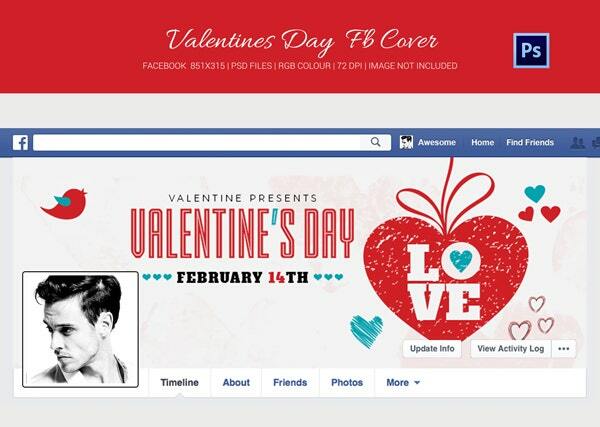 Don’t worry about the image for a cover picture as we have some great cover picture templates for Facebook. Purchase these templates and make the necessary changes. With smart layers, it is easy to make all kind of changes, be it text or image. Once the changes are made, you are ready with your unique cover picture for Facebook that you can now share with the world. Whether is it an event or a party, a flyer can be a great as a promotion or marketing tool. 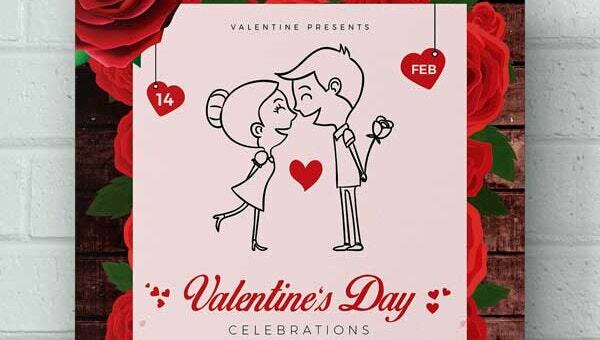 If you are hosting Valentine’s event or party, flyers is a way to make sure that people know about the event. You can provide all the information about the party/event on the flyer itself along with the contact information. Designing a flyer can be a difficult task though. 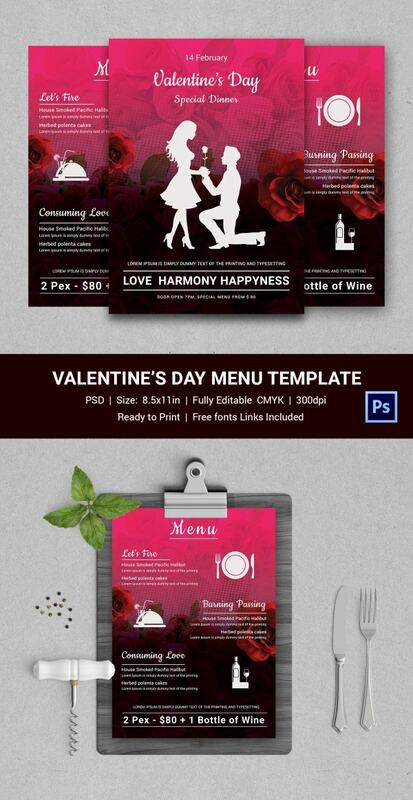 So, for your assistance, we have some personally designed flyer templates for Valentine’s day. They are certainly going to save a lot of your time and efforts. Make sure you make click on the link to get access to these templates. They are available in PSD format and the files are print ready that can be edited easily in Photoshop if required. 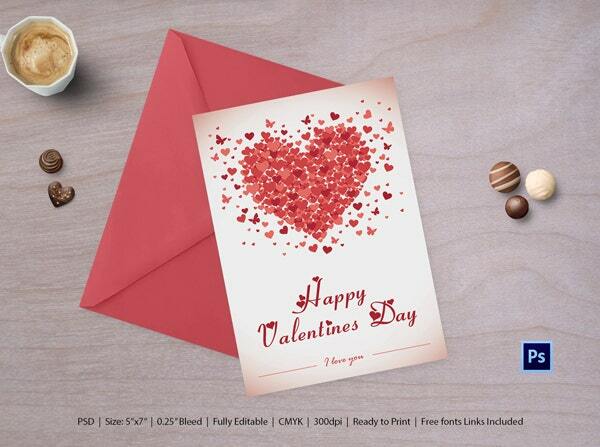 Greeting cards are like obvious on Valentine’s day but what you can do differently is, get them personalized. Personalised cards are way more special and say a lot more than the usual cards. Though everyone cannot design customized card everyone definitely wants to surprise their loved ones with a personally designed card. 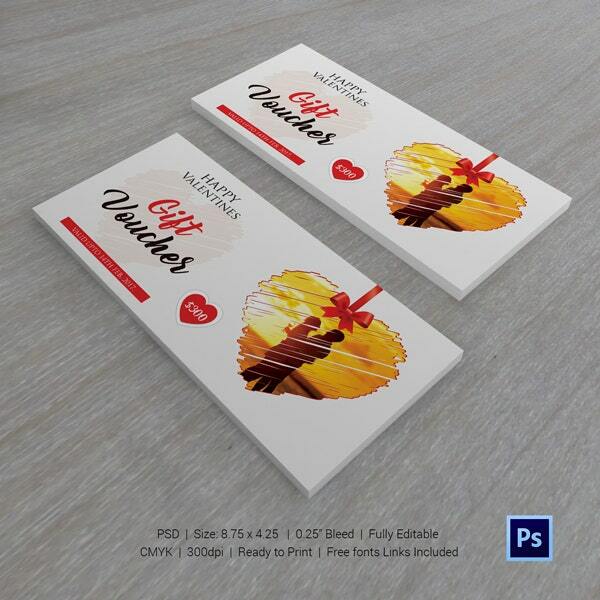 For such souls, we have some awesome greeting cards templates personally designed by our team. They are in a perfect format and you can edit them in Photoshop to make few additions. 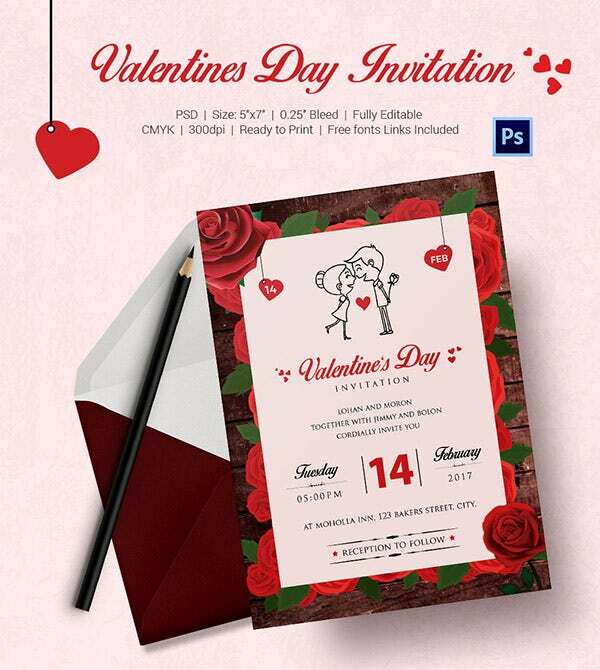 Make your valentine’s party special with our valentine’s invitation templates. 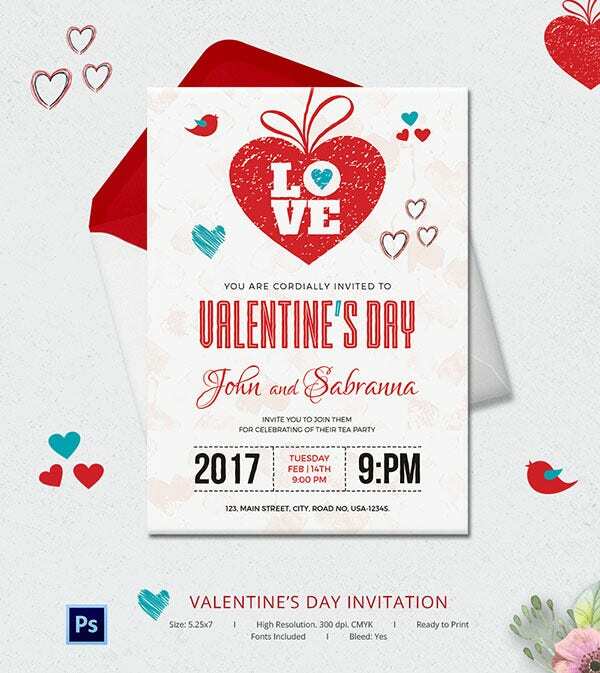 These are some beautifully designed templates that you can edit and use them to invite your guests. These print ready invitation templates are easy to edit and come in high-resolution design and images. You must be expecting a huge crowd at your restaurant for Valentine’s day. 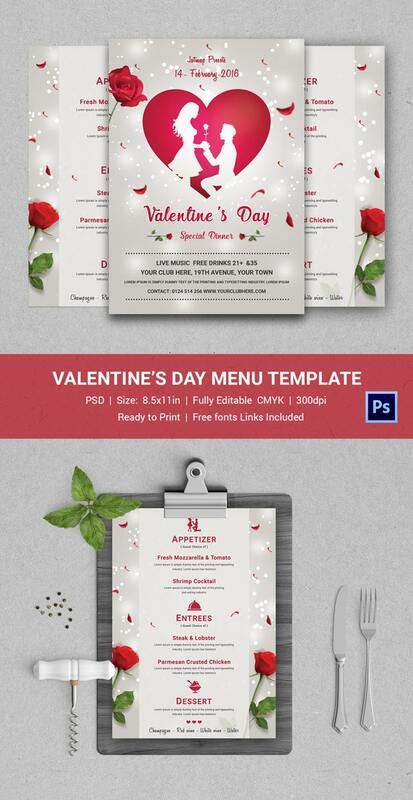 Make sure they are served with an exclusive Valentine’s theme menu design with these Valentine’s menu templates. It is not easy designing the perfect valentine’s poster. You don’t want to create something regular and cliched. To save you the dilemma we have Valentine’s poster templates here with us. 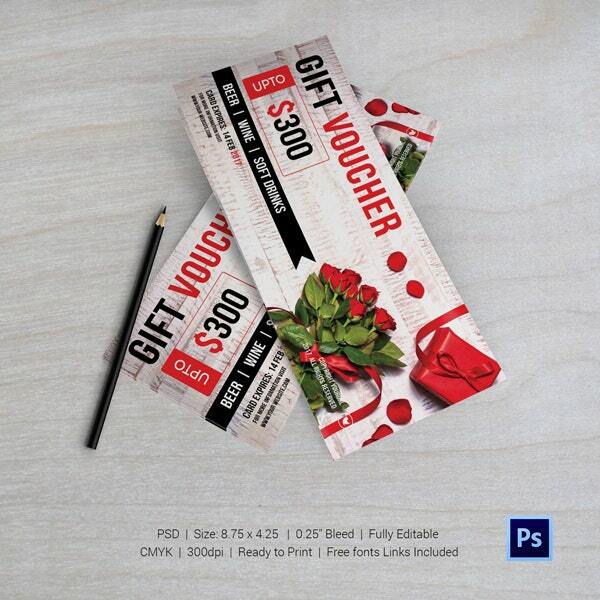 Purchase the templates and get your print ready posters instantly. These premium templates are of high quality and can be purchased via the links that have been provided. We can assure you that you will be not be disappointed with these templates designs. These templates come in PSD format with smart objects that let you edit text as well as images in the given template.